At 10 a.m. on May 31, the committee members ﬁled into the dark-paneled conference room of the War Department. The air was heavy with the presence of three Nobel laureates and Oppenheimer. Stimson opened the proceedings on a portentous note: “We do not regard it as a new weapon merely,” he said, “but as a revolutionary change in the relations of man to the universe.” The atomic bomb might mean the “doom of civilization,” or a “Frankenstein” that might “eat us up”; or it might secure world peace. 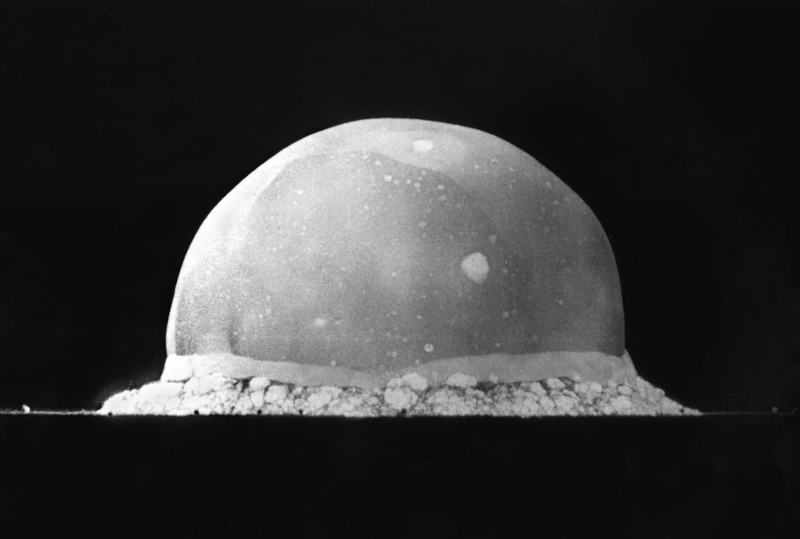 The bomb’s implications “went far beyond the needs of the present war,” Stimson said. It must be controlled and nurtured in the service of peace. 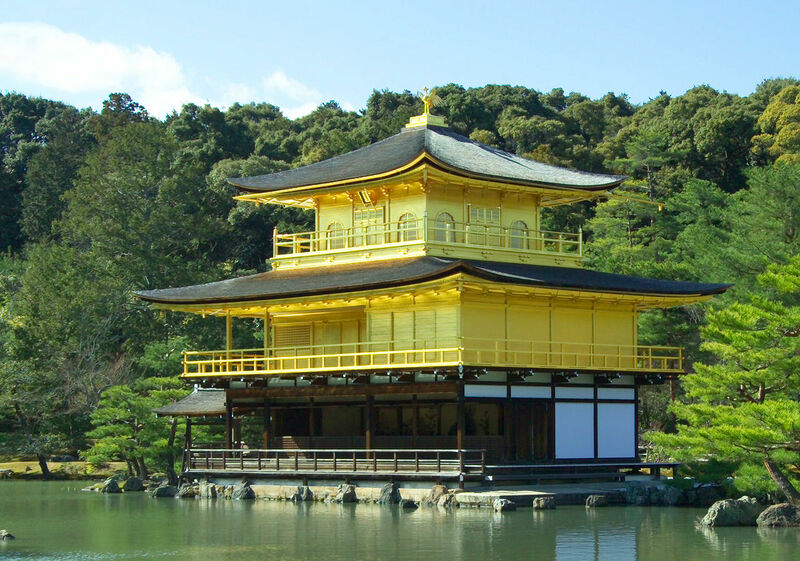 With the exception of Stimson on Kyoto—which was essentially an aesthetic objection—not one of the committee men raised the ethical, moral, or religious case against the use of an atomic bomb without warning on an undefended city. The businesslike tone, the strict adherence to form, the cool pragmatism, did not admit humanitarian arguments, however vibrantly they lived in the minds and diaries of several of the men present. 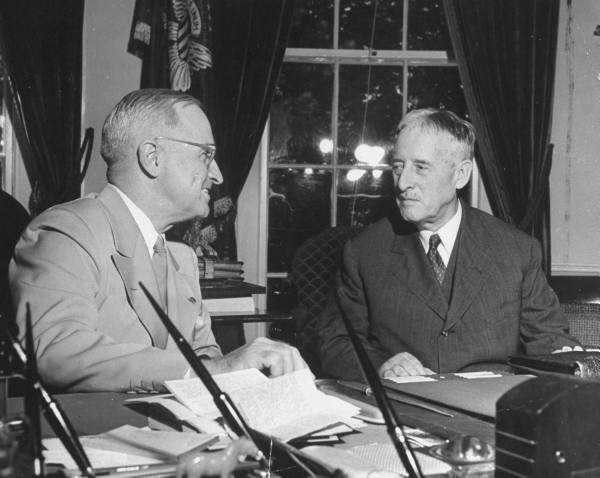 Stimson w/ Truman. George Skadding, LIFE Magazine. Those quotes from this interesting Atlantic article by Paul Ham, excerpted from his book. Highly recommend a listen to Allison Silverman’s 20 minute piece about “This Is Your Life” on This American Life, which includes a story about how they introduced a (drunk) Captain Robert Lewis of the Enola Gay to “Hiroshima maidens” on TV. 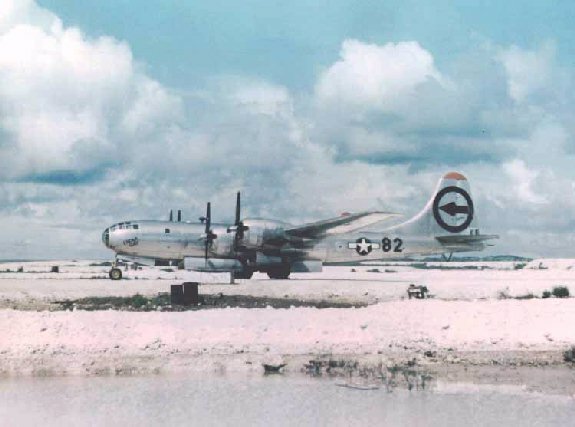 ”If I live a hundred years, I’ll never quite get these few minutes out of my mind,” Captain Lewis said in his log of the Enola Gay’s mission, written in pen and pencil on the back of War Department forms, on Aug. 6, 1945.